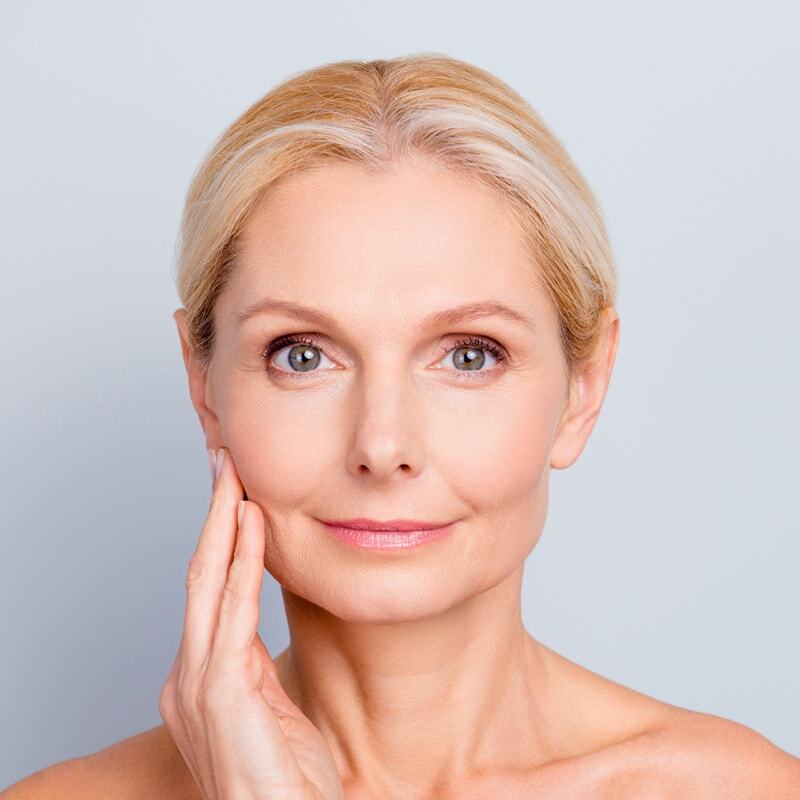 We offer various cosmetic procedures and products for those looking to rejuvenate their skin, including neurotoxins (Botox, Dysport, Xeomin), fillers (Belotero and Restylane), chemical peels, microneedling, treatment of brown spots and redness, and more. Reverse the signs of aging – frown lines, crow’s feet, forehead wrinkles, and more with Botox! It works by temporarily relaxing the facial muscles that contribute to the wrinkles in the overlying skin. As the muscles aren’t able to move, the wrinkles become less apparent. As we age, our faces naturally lose subcutaneous fat and smile lines and crow’s feet become more noticeable. Fillers help to diminish facial lines and restore volume and fullness to the face. Microneedling is one of the newest trends in anti-aging and facial rejuvenation. It works to stimulate collagen and produce elastin to provide a more youthful appearance to the skin. Microneedling is another effective way to treat fine lines and wrinkles, as well as diminish the look of large pores or uneven skin texture. It’s also an excellent way to treat acne scarring and stretch marks. Spider veins are unsightly, enlarged vessels that can be seen underneath the skin. They can be displeasing, sometimes painful, and really affect an individual’s quality of life. Dr. Ortleb treats spider veins with a procedure known as sclerotherapy. At MOD Dermatology, we offer several types of chemical peels – depending on the type and depth of the peel, they can be effective in treating sun damage, dark spots, fine lines, wrinkles, acne, melasma, and much more. We offer glycolic, salicylic and lactic acid peels, which have minimal downtime. We also offer several deeper proprietary peels for intense rejuvenation. Dr. Ortleb can customize your peel process for a peel truly suited to your specific needs. WHAT IS THE DIFFERENCE BETWEEN MEDICAL DERMATOLOGY & COSMETIC DERMATOLOGY? Medical dermatology is focused around diagnosing and evaluating different diseases of the skin, hair, nails, lips, and mouth to treat and improve overall health. Medical dermatology includes skin issues such as acne, eczema and dermatitis, rosacea, and skin cancer. Patients are encouraged to visit a board-certified dermatologist yearly for checkups to look for abnormal moles or skin cancer. Cosmetic dermatology is also centered around the skin, hair, nails, lips, and mouth. However, unlike medical dermatology, cosmetic dermatology is based on aesthetic appeal and can help treat signs of aging such as fine lines, wrinkles, dark spots, and sun damage. It involves diagnoses and prescriptions, and cosmetic dermatologists must be board certified just like medical dermatologists. We also carry several cosmeceutical and skincare products. All of the items we carry have been carefully chosen and tested by Dr. Ortleb. We are an authorized retailer for all of the items we carry which means you do not have to worry about product authenticity like you would with online purchases. Call now to schedule your cosmetic consultation at MOD Dermatology. During your visit, Dr. Ortleb will sit down with you to assess your concerns and discuss treatment options. A cosmetic consultation is $100 and this goes toward the price of services you decide on during the consultation.